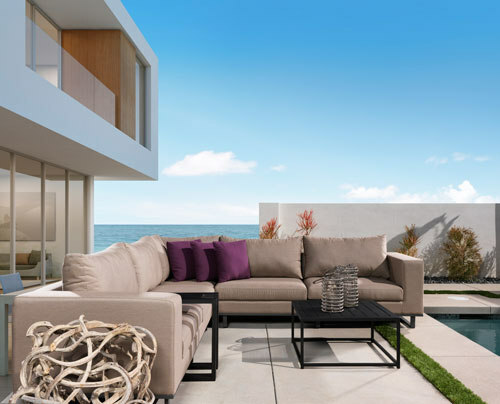 The Contempo sofa sectional set was designed with both style and comfort in mind. The aluminum frame is covered with a Sunbrella® fabric over Quick Drying Foam. This collection is sophisticated and yet still casual enough to grace any space... indoors or out! Product Dimension: Loveseat: W79" x D35" x H25" Sofa: W113" x D35" x H25" Shipping Dimension: 80" x 35" x 26" and 114"x35"x26"